Progress may not have been made on Siachen, writes Nitin Gokhale. But the dialog process still matters. The April death of 130 Pakistani soldiers in an avalanche close to the Siachen glacier has triggered renewed outcry from Pakistan to de-militarize what some call the world’s highest battlefield. 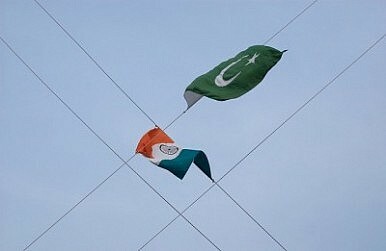 But June talks between Indian and Pakistani defense officials in Islamabad ended yet again in stalemate. Nevertheless, the process still matters. Indian and Pakistani troops have been stationed on the glaciated heights in strength since 1984. Many soldiers have died due to the vagaries of weather. Temperatures can drop down to negative 58 degrees Fahrenheit. Both sides would benefit immensely from a long-term resolution. But the devil is in the details. India wants the current positions and posts to be authenticated both on the ground and on any map that gets exchanged in any possible agreement. Pakistan on the other hand says it is unnecessary. At the heart of the problem is the interpretation of the 1949 Karachi and 1972 Simla agreements by both sides. India and Pakistan demarcated their borders only up to Point NJ 9842. This includes the 772 km Ceasefire Line in 1949, now known as the LoC or Line-of-Control. It was stated in the agreements that the border would run north from NJ 9842. While India interprets this to mean due north (along the ridge line, as is the international convention), leading to the northern tip of the Saltoro ridge known as Indira Col., Pakistan claims that the line should run northeast towards the Karakoram Pass which leads into Tibet. However, for over a decade after the Simla agreement, neither side bothered about areas beyond NJ9842. In late 1983 to early 1984, Indian intelligence discovered several Pakistani tourism and mountaineering expeditions making forays into the hitherto unexplored Siachen glacier areas. Until then it was thought that the forbidding terrain with altitudes in excess of 18,000 feet would serve to be a deterrent for anyone trying to venture into the area. Alarmed by the possibility of Pakistani troops positioning themselves on the Saltoro ridge located to the west of the Siachen glacier and thereby opening access between Skardu, the capital of Baltistan, and the Karakoram Pass, a small team of the Indian Army’s Kumaon Regiment was launched to interdict the Pakistani advance. Indian Army troops managed to beat the Pakistanis in the race to the glacier and occupied two passes west of the glacier at Bilafond La and Sia La while the Pakistan Army could only reach Gyong La. By occupying the heights along the Saltoro ridge, the Indian Army had gained the upper hand, preventing a possible Pakistan-China ‘handshake’ in the high Himalayas. Since 1984, India has occupied the higher posts that sit astride the 78km-long glacier. Pakistani troops are nowhere near the glacier. Even the avalanche that hit a battalion headquarter was to the west of Saltoro ridge and at a much lower altitude than the Indian posts. The Indian army, having captured the dominant heights at a considerable monetary cost and loss of troops, has told the government that it will be a strategic mistake to vacate the heights without Pakistan agreeing to authenticate and accept the respective current troop deployment. Pakistan is however loath to accept this basic premise. It has consistently ‘sold a myth’ to the people that its troops are sitting atop the Siachen glacier. In reality, Pakistani posts are far away from the glacier. Moreover, the Indian Army top brass has pointed out to the decision makers the likely dangers of a China-Pakistan link-up through Siachen which would expose India’s defenses in Ladakh. For several years now, Pakistan has allowed the Chinese to come into the Gilgit-Baltistan area. Intelligence reports concerning China’s troop presence and the construction of tunnels, possibly to store missiles aimed at India, have also been available for some years now. Pakistan had also—some thought illegally—ceded part of this area known as Shaksgam Valley to China in the 1960s. This was seen as an attempt to make China a party to the Kashmir conflict. Shakshgam valley incidentally lies just north of the northernmost tip of Saltoro ridge, currently dominated by Indian troops. Any withdrawal at this stage, the Indian Army has warned the government, will only serve to strengthen the Pakistan-China alliance in the area. Since these questions have no clear answers, the civilian leadership in India has so far backed the military’s stand despite Prime Minister Manmohan Singh’s avowed wish to make Siachen a “mountain of peace.” Relations between India and Pakistan have certainly improved with several recent attempts at confidence building, increased bilateral trade being one of them. However, giving up a dominant military position on Siachen without iron-clad guarantees would be a fool’s errand. Nitin Gokhale is Defense & Strategic Affairs Editor with Indian broadcaster, NDTV 24×7.